Picea abies, also known as common spruce, is a coniferous tree from the genus of the spruces, as I was able to find out thanks to Wikipedia (although I could have guessed it somehow…). And, of course, it is not the whole spruce but the needles of this tree, which have found their way as an ingredient into the Needle Gin. The manufacturer claims that it is the smell of the common spruce (or its needles) that rises to your nose on a walk through the Black Forest. Unfortunately – believe it or not – I have never been to the Black Forest in my life (just passed it for several times) so I cannot tell whether this is true or not. Nevertheless, I personally like the scent of spruce needles and so I looking forward to this gin quite optimistically. But there is one thing that left me a little skeptical at first: The gin costs “only” 12 euros for a 0,5 litre bottle .But then I had to remind myself once again that the prices people (including myself) recognize as “regular prizes” for a gin have somewhat changed in the course of time. And some prices on the gin market are anything but indisputable and there was more than one debate raging in various online forums in recent years. Ultimately, a price of 12 euros for a 0.5-liter bottle would have been quite normal about 10 years ago (when a Bombay Sapphire or a Tanqueray was the only commonly available premium gin in many stores). So why link the quality to the price? Well, there are plausible reasons of some manufacturers, why their botanicals lead to a price considerably above the price of this bottle here. That’s why I cannot really image that the Needle Gin was made using exclusively fresh and hand-picked botanicals for the production. It is also not a London Gin but only a Distilled Gin, which allows nature-identical flavoring. Nevertheless, I will give the gin the same chance that (almost) every Gin should have. 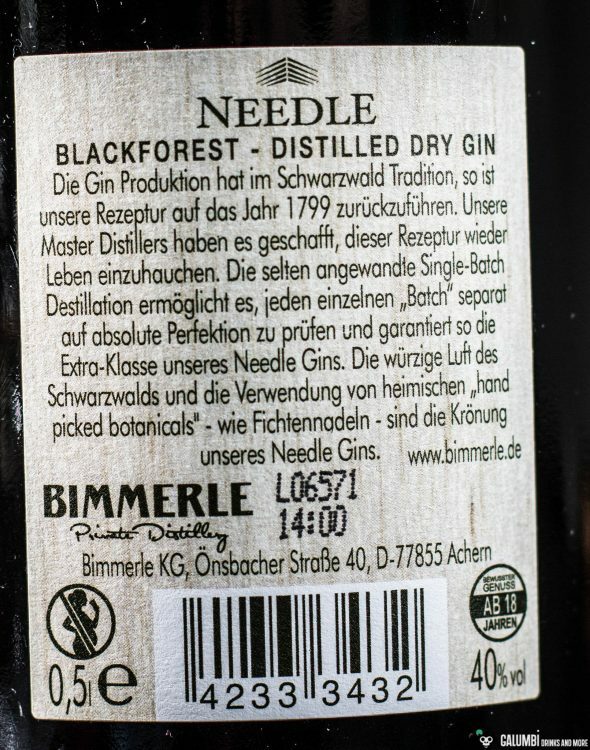 Aroma: In fact, the Needle Gin lives up to its name: there is a distinct and clearly recognizable spruce. Juniper is also part of the game but remains somewhat behind the spruce needles although it conflates very harmonically with it. Citrus (lemon and orange) and associations of rosemary are there. But there is also a small point of criticism: Even after several minutes of scenting I can discover hardly any deeper complexity. The overall aroma remains constant – appealing nonetheless – but it does not offer a sensory adventure with surprising twists. Taste: The Needle Gin starts quite spicy on the palate with distinct flavor. It offers a full cargo of “forest”: spruce needles, juniper, mossy tones and a very nice, not too pronounced sweetness to it. The citrus notes rather remain in the background. The gin turns a little flat after a short time, but I am nonetheless quite positively surprised. It is not a too capricious gin, but definitely a solid choice. You especially have to recognize this when considering its low price. Although, of course, a negative connotation remains: how can this gin be so cheap while simultaneously trying to compete with other quality gins that cost many times more? Finish: dry, spicy and again with spruce needles. In a Gin & Tonic I could also imagine the Needle Gin very well. Here I would opt for a classic tonic (Goldberg, Fever Tree or other) or perhaps the Fever Tree Mediterranean Tonic. Buying sources: At specialized retailers or online. 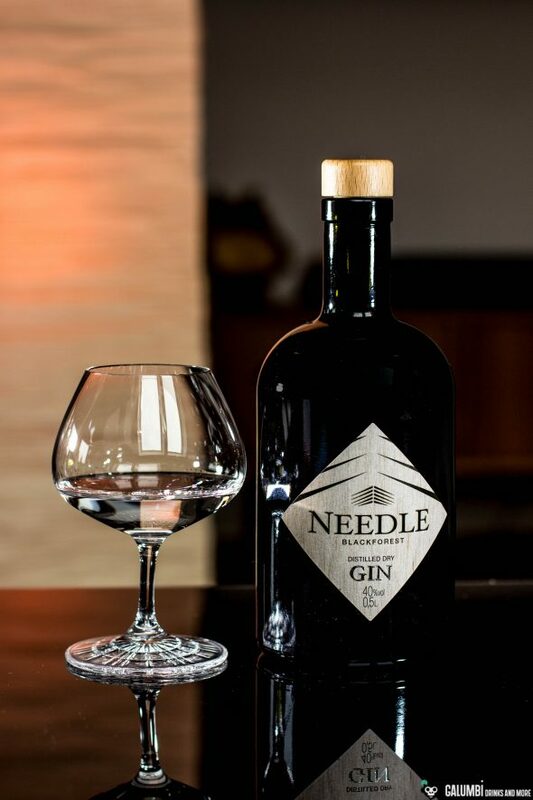 In some parts of southern Germany the Needle Gin also will be available in supermarkets. 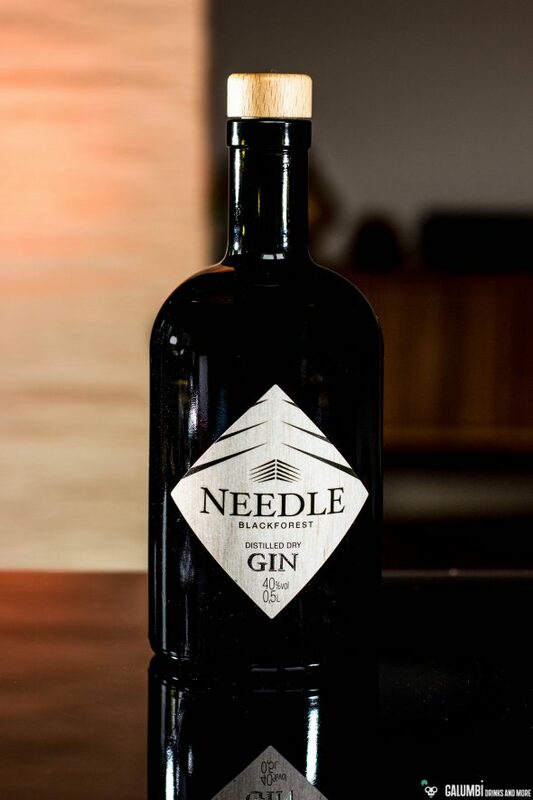 The Needle Gin comes at 40% ABV. thanks for your comment – maybe you should try another gin from that region, for example the BOAR Schwarzwald gin. How can I get thus bottle of beautiful gin in northern Ireland ? I’m not sure about that. Maybe you can find a German retailer who is willing to ship to Ireland. But if you want my honest advice: there are far better gins out there on the market! Aldi. That’s where I got it. At least you can be glad that it was not really expensive. 😉 And of course there is a myriad of better gins out there. Very similar in smell and taste to Monkey47 and way less than half the price. I have both bottles side by side right now. Oddly enough it’s 47% too. Perhaps not exactly the same but very close. if you look closely to the pictures, you will surely notice the “40% vol.” written on the label.